A great single malt that is drawn from various ages of whisky from a single undisclosed Irish distillery. The oldest malt in this dates back to 1991 and the various components have been matured in different types of barrels including Sherry, Port, Madeira, White Burgundy and Cabernet Sauvignon. Possibly our favourite new whiskey of 2014. At this price it represents great value for money. Never mind that there is not an age statement, this is as good, if not better than most 12 year old single malts. Palate Packed with flavours of bittersweet chocolate, quince, orange marmalade, cloves, ginger and other spices. There's a slight hint of smoke, but not peat smoke, more like charred oak and vanilla. Water opens up some delicious tropical fruit flavours of mango and pineapple with hints of red berries. Making Techniques Matured in different types of barrels including Sherry, Port, Madeira, White Burgundy and Cabernet Sauvignon. 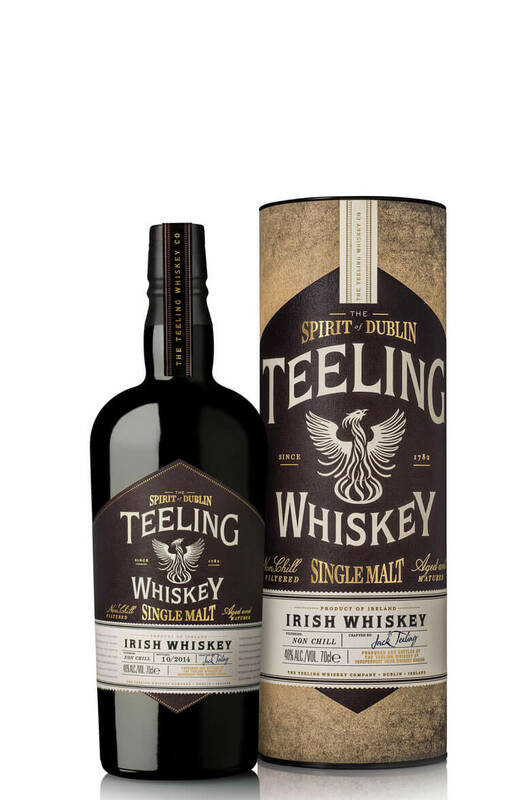 Like all Teeling whiskeys this is un-chilfiltered and bottled at 46%.